This mini-series topped the charts, especially the violet jelly and dandelion jelly from flowers that grow in our so-called lawn (otherwise known as the prairie). The violets went viral, with over 800 clicks in one day alone. The jellies were delicious and went fast. 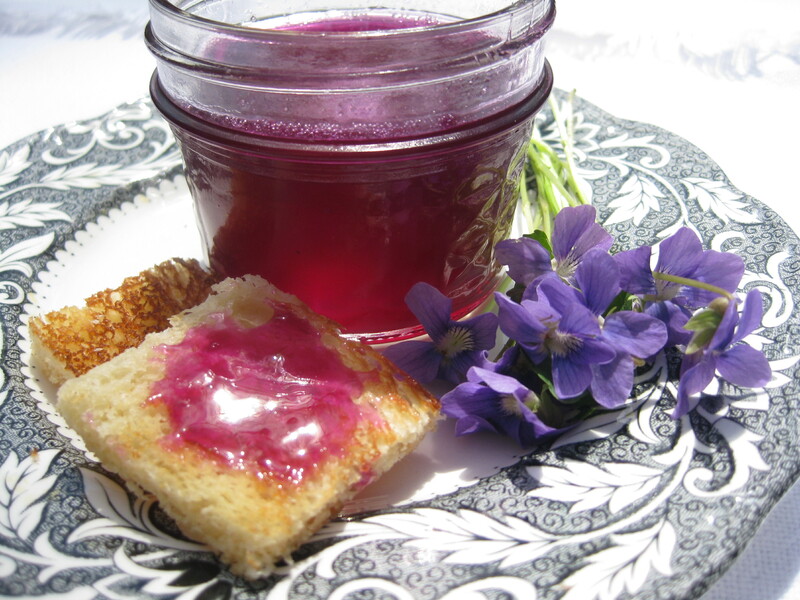 Continuing the flower theme later in the season, I made Queen Anne’s Lace jelly, which was pretty special, and another jelly with electric blue borage blossoms. Mint and rosemary jellies were right up there in the ranks, 5th place this year. 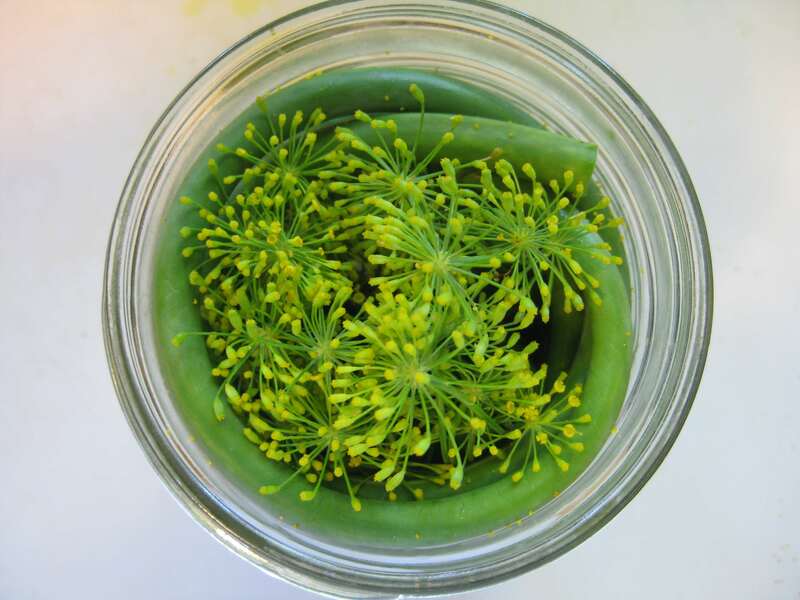 More herb jellies (like lemon basil and rose geranium) were part of my “Preserving Herbs” series. 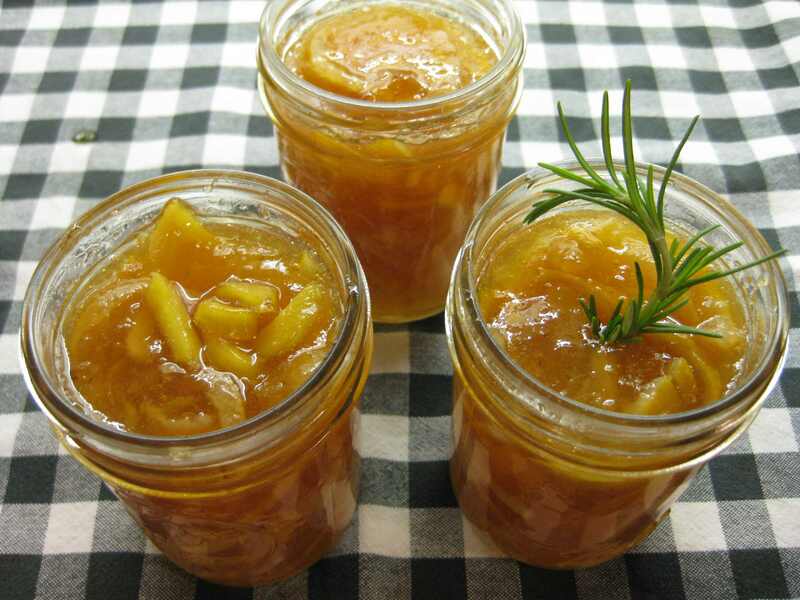 Yup, once again on top of the charts are the three versions of Meyer lemon marmalade that I made for the inaugural month of the Tigress Can Jam of 2010. The lemons were a gift hand-carried from California and were made memorable by the addition of rosemary and ginger. This holds the all-time record as my most popular post. 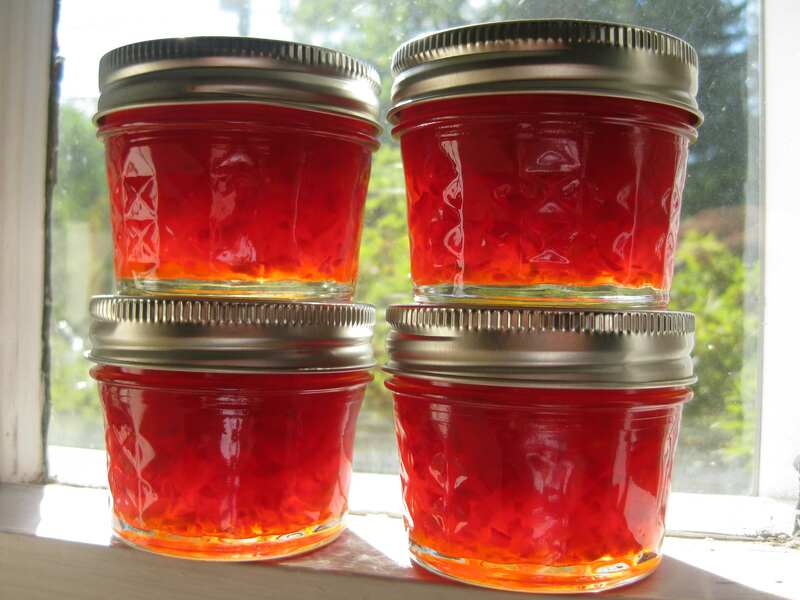 Another all-time winner, again one of my entries in the 2010 Tigress Can Jam, is Sweet ‘n’ Hot Red Pepper Jam. I made a couple of cases of 4-ounce jars again this year to rave reviews. No one seems to have a favorite among the three versions: a plain one spiced with ginger, ditto but with a dab of adobo sauce (smokin’ good), and a third with star anise and cardamom (in the holiday spirit). Tomato Salsa with Ancho Chili also made it onto a favorites list, probably since it’s been featured on other blogs like Punk Domestics. A couple of pickle projects made the top ten, stealing votes from each other. One is a sweet ‘n’ hot bread and butter pickle and the other a group of three in one post: pickled garlic scapes, dill pickles, and more bread and butter pickles. Luckily I made a lot more of these this year than last so no one should complain. A certain person I know eats them straight from the jar. For dinner. 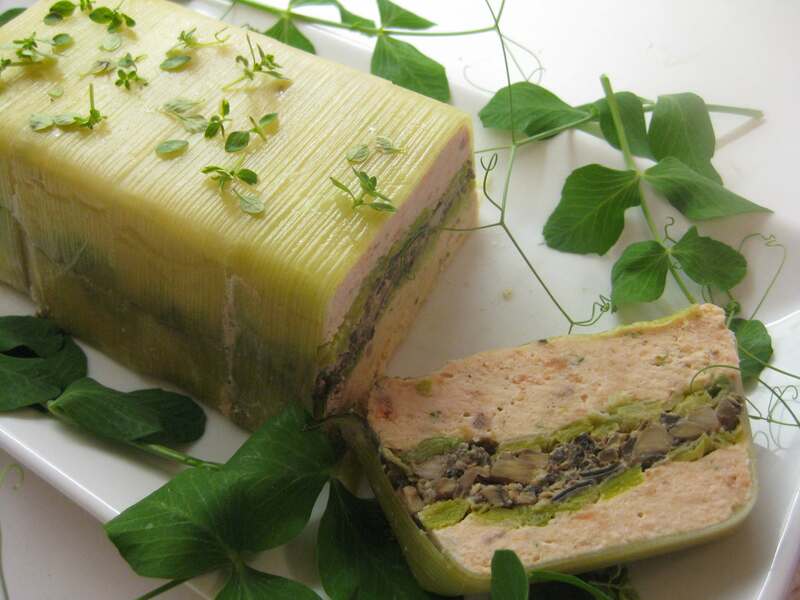 Just when you thought that I cook only for the pantry, along comes a beautiful salmon terrine wrapped in leeks and stuffed with mushroom vodka cream, pretty enough for a party. This is the second most clicked-on post in the past two years and fourth this year. It was my entry in the monthly Paper Chef international challenge, which sadly has now folded. It had been the long running blog contest (over five years) before it faded away. I miss you guys. Not a new concept for me, but called out explicitly in a series of posts about frugal cooking. On the theme of “use the whole plant,” I made a very popular Celeriac Soup in a post called “Roots, Stalks and Leaves” and a version in my new Waste Not Want Not series. While many people know this vegetable only by its knobby root, which is how it most often found in the supermarket, it actually has a useful stalk (substitute for Pascal celery if you want to eat locally) and leaves when you can get them from your CSA or the farmers’ market. As part of my Preserving Herbs series, I made celery salt from the leaves (for the pantry of course). Much to my delight, Sour Cream Blueberry Bread made the cut. 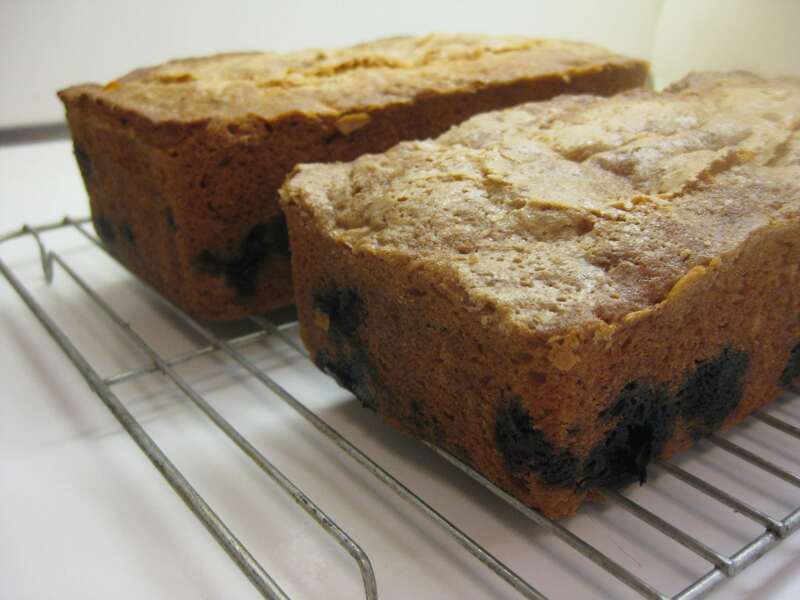 I used to be known for the volume and variety of quick breads that I made, a sucker volunteer for every bake sale and charity event involving food. I literally cooked my way through graduate school with recipes like this, producing wares sold at a weekly departmental lunch.